The updated sign outside Dr. Rettig’s office sends the message of an upscale and sophisticated doctor’s office and optical shop. and Travis J. Reed, Owner/CEO, Creative Visionary Inc. When we thought about how best to grow our practice last year, we focused on continuously improving care and patient service, but we also thought about the condition of our office. We wanted the physical environment of our office to be at the same level as the care and service we were providing. 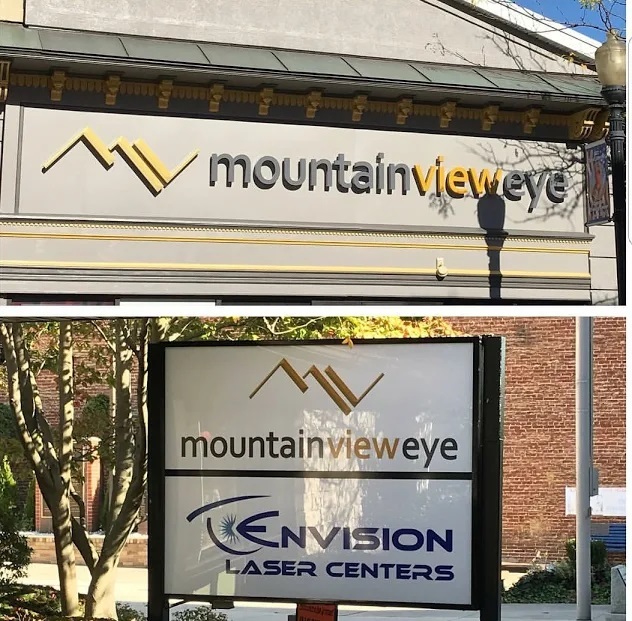 To do that, we, Mountain View Eye, undertook an extensive remodeling of our space with help from design firm Creative Visionary Inc.
We wanted to set ourselves apart from other offices in the area. Compared to other nearby offices, ours looked nice, but was dated, at over 12 years old. We felt it was time for an update. 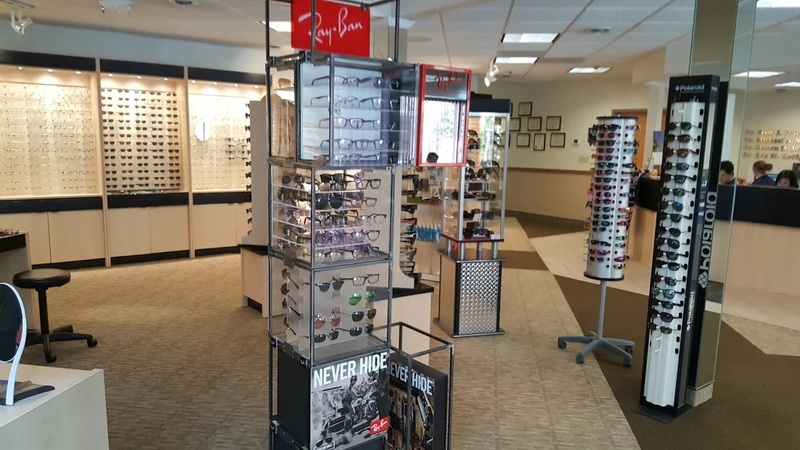 We wanted the decor update to help increase optical sales (especially frames), which it has. 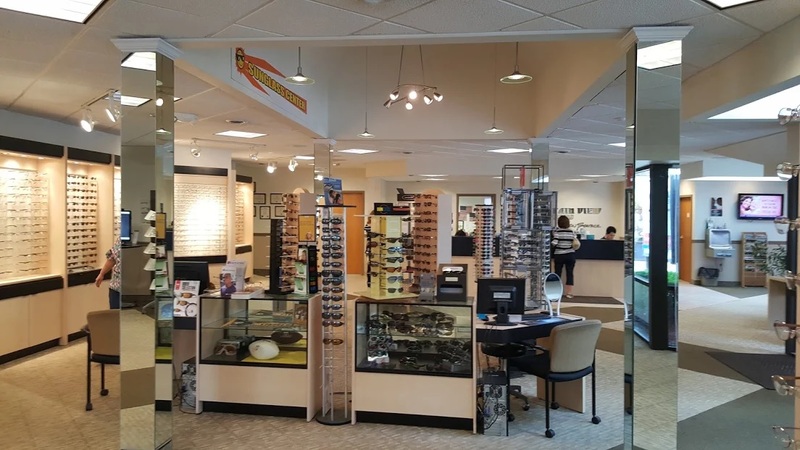 Our average frame sale has gone up 24 percent since the remodel. Our use of premium lenses has also gone up over 50 percent. Our sales of frames costing over $200 has gone up over 50 percent. 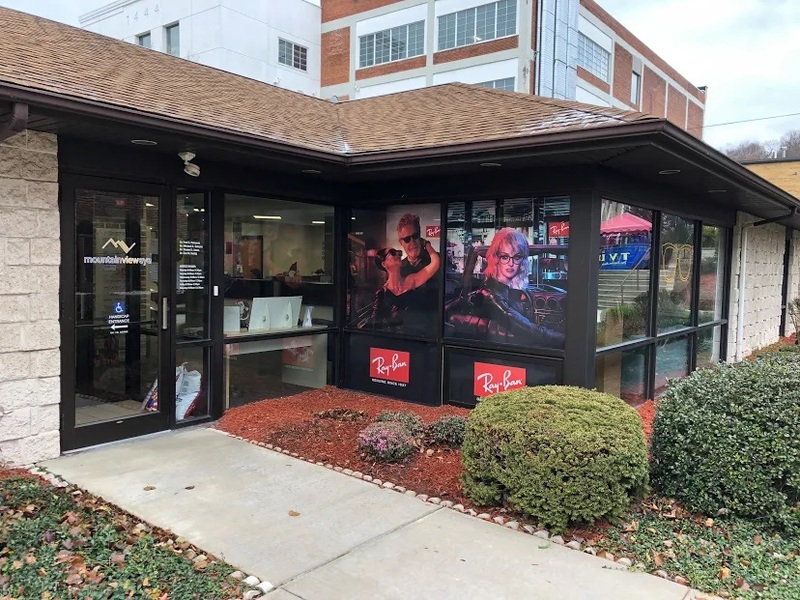 It cost us a total of $175,000 to remodel, and we are on target to recoup that investment within about a year of completing the remodeling, due to higher optical sales, both in volume and value of each piece of eyewear sold. 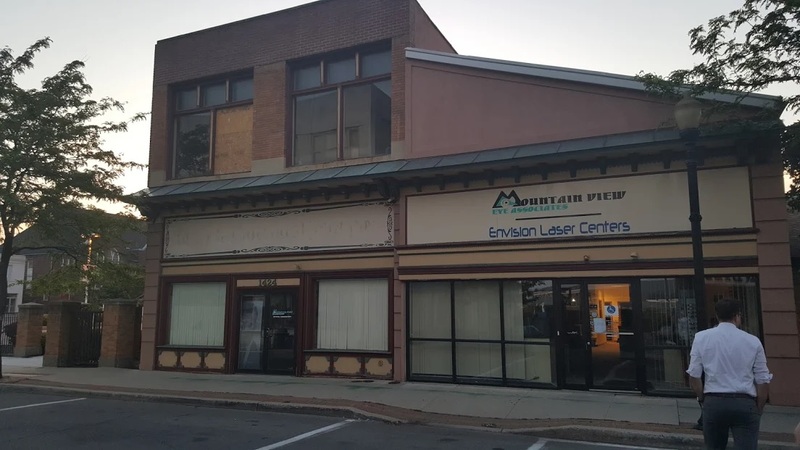 We took out one loan from the bank as a practice, as well as a small grant from our city, Altoona, Penn., which offers loans to local businesses seeking to update office space. 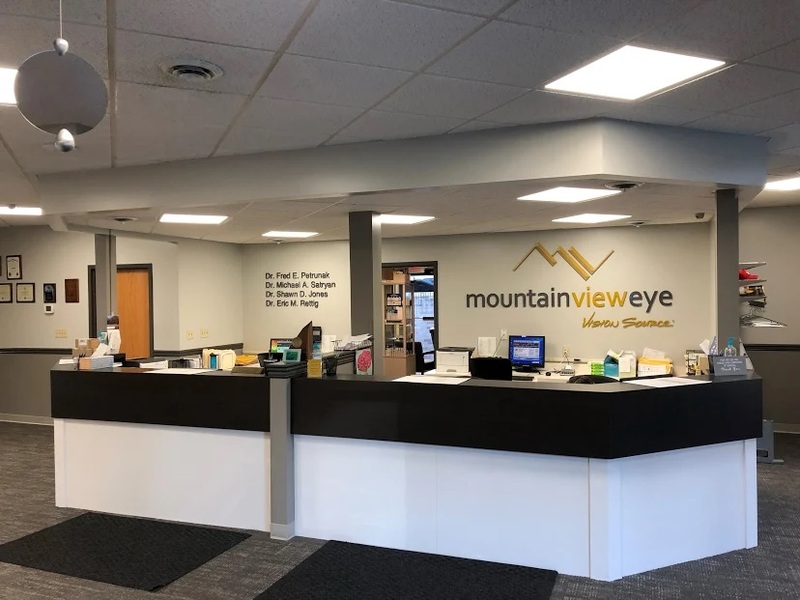 Not only did we put in new carpeting and tile throughout the optical and reception area, but we completely changed the overall look of the office. 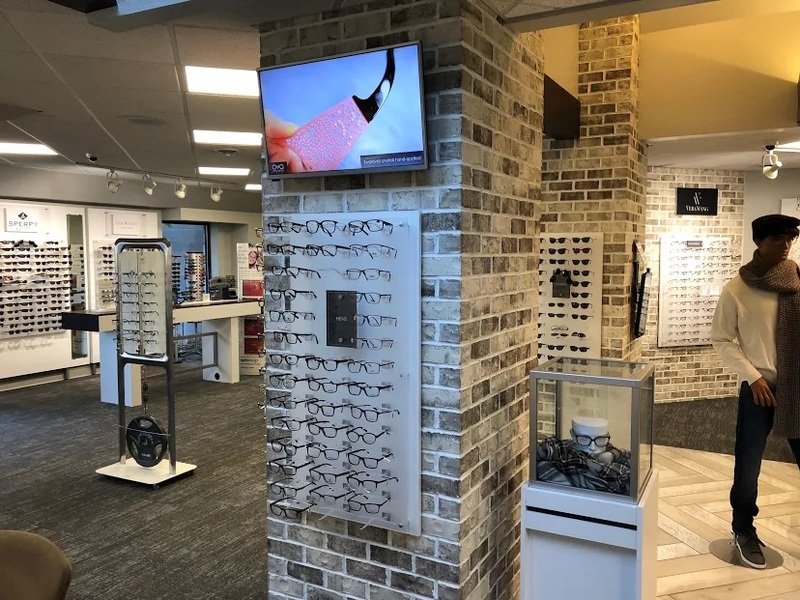 We now have five 3 ft. x 3 ft. pillars with mirrors in our optical, which we expanded and added real brick to, as well as storage space inside them, along with Eye Designs fixtures and flat screens. All of these new pillars also have display capability, adding to the space we have to showcase the 1,600 frames we have in our optical. 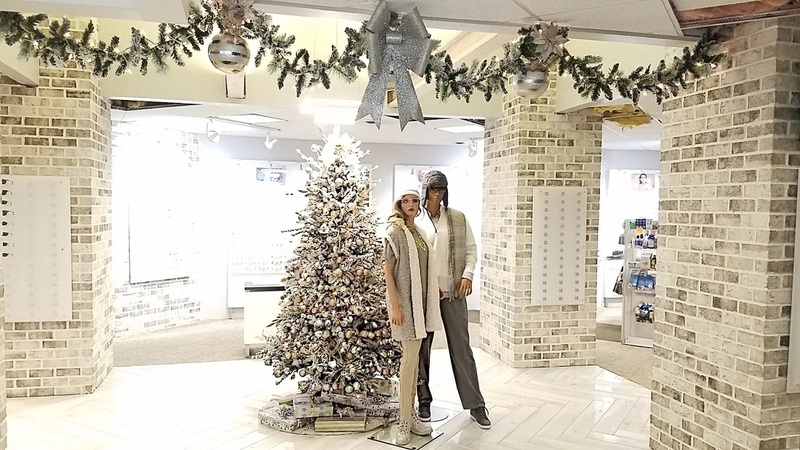 We added houndstooth-patterned tile with mannequins and glass vitrines, glass cube displays on wooden stands that lock in, for seasonal displays. Brick was also put on several walls, and we added woods beams to several areas. New risers were purchased for all the frames on display. 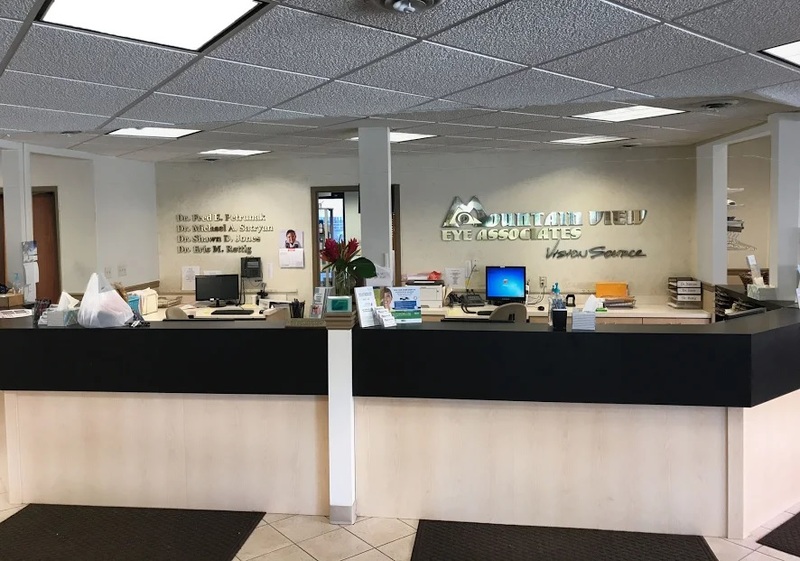 In addition, we repainted almost all of the practice, minus back-of-house areas, with three new shades of gray and off-white, got a new logo and added new interior and exterior signage. The repainted exterior is now illuminated with bus-wrap images made in vinyl added to windows, paid for by vendors. We significantly improved our “hot zone,” meaning the first area the patient sees when they walk in the door. Before the remodel, we had a large, mostly empty rectangular space that faced to patients when they first walked in. We had small columns, no more than six inches x six inches, that framed this area. The columns were so small, the patient couldn’t even see themselves in the mirrors we had affixed to the columns. We had little-to-no merchandise on display in this area, with the default focal point a computer, which we almost never used. The columns, which we expanded into the pillars described in the previous section of this article, now act as a visual “anchor” that defines the hot zone and calls attention to it, “framing” the space. Rather than wasting this prime retail space, we now feature products like sunwear or recent trunk-show merchandise, which the mannequins and flat screens on the pillars call attention to, as well. This area has large vitrine boxes for seasonal displays, which are changed out at least quarterly, along with mannequins that are changed every 6-8 weeks for seasonal displays like summer, fall and back-to-school. We added three HD TVs to three of the pillars. These have videos from our frame companies that play in a loop. 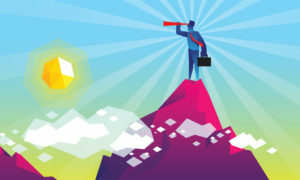 They work as an ad for specific, high-demand frames, or frames that we are prominently displaying. Patient seating is now located off to the side, rather than in the merchandise hot zone. We learned the importance of never giving up your best prime retail space for people to just sit. 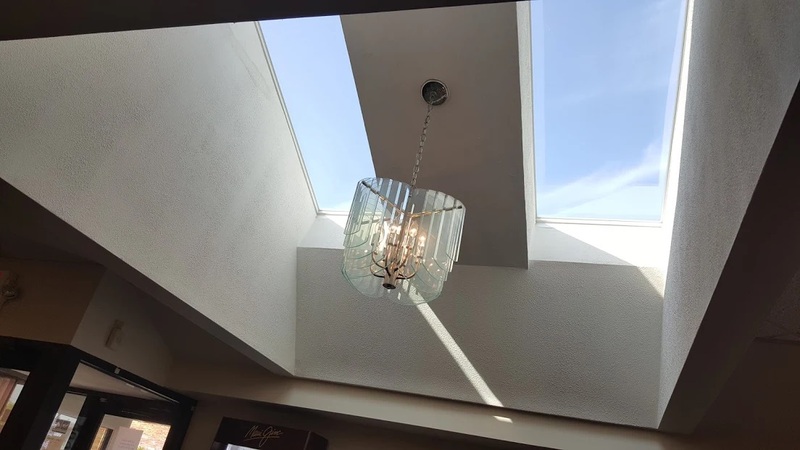 Instead, use your best space to sell, and then make it sing with the best lights, fixtures, flooring, props and technology you can afford to make it look special. The wrong carpeting or floor tiles can drag down the overall look and tone of an office. To make the hot zone pop even more to our patients’ eyes, we put in new carpeting that encourages people to look up, rather than down. We previously had a carpet with a distracting diagonal design pattern in the hot zone. To fix that distraction, we put in gray carpet tiles in an understated dark gray tone. We used a pattern that blends into the other tiles. It looks seamless, so you can’t tell they are tiles. The old tile had a strong design, and there were multiple styles and colors, heavily designed, which called attention to the floor. The new, under-stated tiles frame the hot zone, and are much higher-end looking, which tells the patient they are in a special area featuring higher-end merchandise. 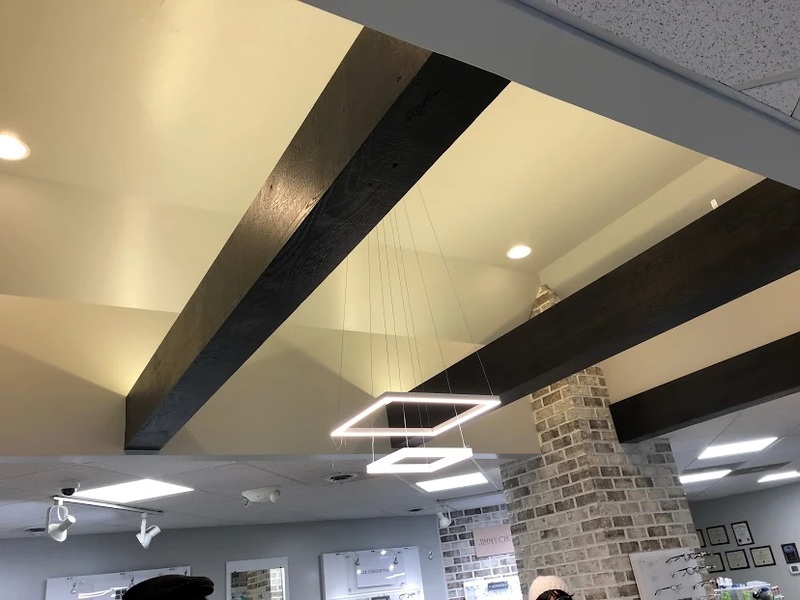 The walls are painted in different shades of gray, to be easy on the eyes, and to avoid distracting from the products we have on display. We have our opticians wear scrubs in varying shades of gray to complement the new color theme. Like the new under-stated carpeting, having our opticians wear scrubs in a neutral shade allows the merchandise to be the stars of our space, the place where the eyes are first drawn. The color theme inside the practice ties into our updated logo. We used Vision Source yellow as an accent within the practice to call attention to that partnership, and to solidify our branding. 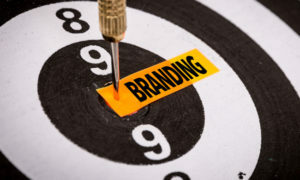 We previously organized our optical according to brand. The problem with that approach is that isn’t how people shop. 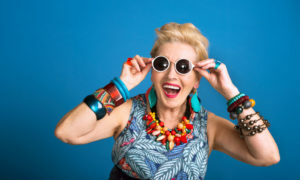 With the exception of a few stand-out sunwear brands like Ray-Ban, Maui Jim and Costa , patients shop like they would for any other clothing or accessory–by color, style, pattern or price. Before the remodel, we had signs letting people know where the men’s and women’s frames could be found. That approach can look cheap, like something you would see in a chain store. 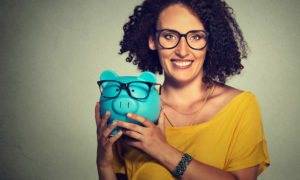 So, we decided it would be better to let patients know where men’s and women’s frames could be found by making the two areas look distinct from one another. 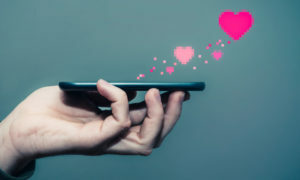 The practice, working with Creative Visionary Inc., was able to team up to get all this done, and we have been richly rewarded for our efforts, with both happier patients, and a happier bottom line. Travis J. Reed is the Owner/CEO, Creative Visionary Inc. in Las Vegas, Nev. To contact him: mail@creativevisionaryinc.com. 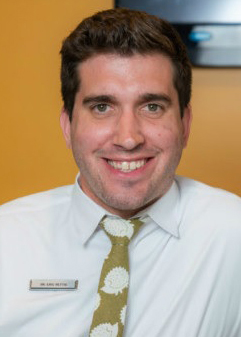 Travis helps practices make and execute design decisions that elevate brand image, increasing sales and capture rates.